Green Goddess Gifts Handmade with love. 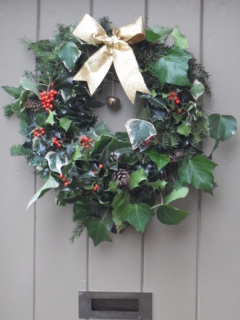 I have an eclectic mix of skills, qualifications and experience fueling my passion for homemade living. Everything I make is inspired by nature and the seasonal changes that gently nudge us through the year. I love to bring the outdoors indoors and decorate my home using fresh flowers and foliage, printed fabrics and naturally derived paints. I enjoy all the traditional country crafts and try to adapt elements of them to my own style and i hope to be able to share the end results with you here. At the moment i am just stocking Festive Wreaths and Swags but I will update the site and add new products regularly, so please try and visit again soon. Please add one P&P to your cart for every item unless otherwise stated. Large Holly and Ivy Swag. 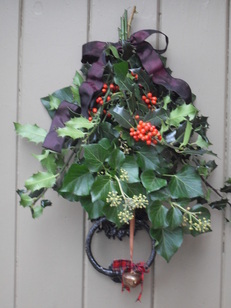 Fresh Holly and Ivy Swag finished with a Bronze hanging bell and Burgandy Ribbon. Large size around 18 inch drop. 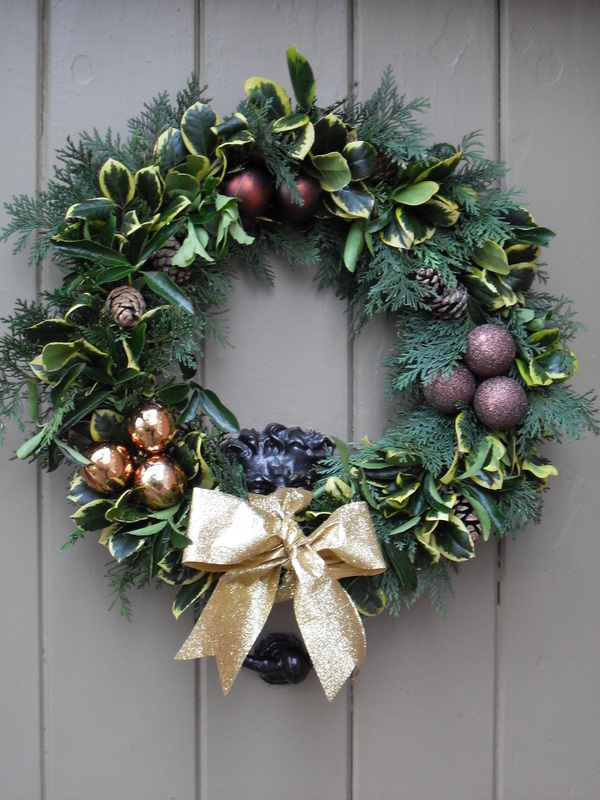 Fresh varigated foliage wreath with pine cone and bronze bauble decoration. Finished with a gold glitter ribbon.